Twitter is growing at an enormous speed. According to a report by Econsultancy, Twitter has more than 75 million user accounts in which 15 million users are active. Everyone has heard and acknowledges the fact that Twitter is growing at a very fast pace. Research shows that Twitter has about 15 million active users out of their 75 million registered users list. That is quite an impressive figure to so many millions of people sending tweets. Several large businesses use it as a platform to keep their audience posted about their new products. Sometime ago, Google made a pact with Twitter to portray tweets in search results on Google. This has helped increase traffic drastically on the Google website too. A username must be carefully chosen with the utmost care and consideration. This username will be used to show the profile on a search engine. It should be something that is relevant to a keyword in your niche operating area or something that is relevant to the brand name. This will help maximize your results when a search is done. There are only a specific number of characters that are permitted per tweet (140 characters). Hence, it is essential to use relevant words and stay related to the topic. Also, it is important to ensure that the tweet is not cluttered and stuffed with key words, as it may not hold the attention of the viewers or could be considered spam. The bio in your profile is limited to 160 characters only. Hence it is vital to ensure the details are absolutely relevant and attractive to viewers. Search engines use the profile bio as description and therefore it is very important to have a proper and detailed description in the profile bio. Links are an important part of a profile as links make a profile stronger in a search engine. A profile can be linked via website and thus pass domain authority therein. Another technique at getting more viewers onto your twitter profile could be to increase the number of your followers. They could further provide the link to your profile to people on their list. Hashtags are similar to key words meta data and therefore an important criteria for search engine consideration. Thus, creating a tweet prefixed with a word that has a hash symbol will increase viewership of your twitter profile. Including the URL of your website in the account settings helps drive traffic to your website. Although there will not be any search engine link juice due to the ‘no follow system’ used by Twitter, it is still a part of the indexing done in the Google search engine. Twitter has been growing enormously popular in the last few years. It is very essential to take necessary measures and adopt practices that make your Twitter performance outstanding. 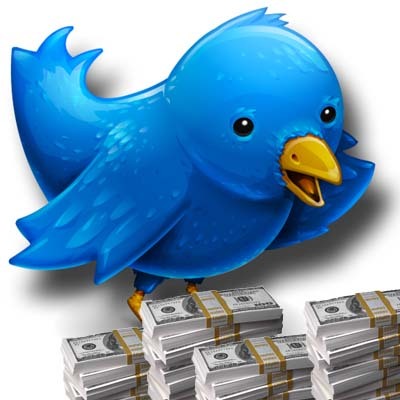 A popularly read tweet or profile is lucrative and beneficial to the writer.